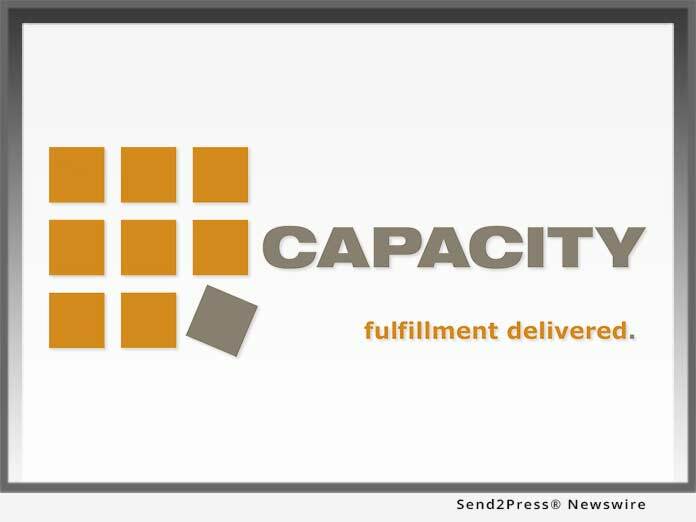 NORTH BRUNSWICK, N.J., Feb 13, 2019 (SEND2PRESS NEWSWIRE) -- Capacity LLC, trusted leaders in order fulfillment, e-commerce, and EDI solutions, has signed a long-term lease to expand into a built-to-suit 300,000 square foot fulfillment space in North Brunswick, N.J. The state-of-the-art facility will be ready for occupancy later this year, with Capacity planning to begin operations at the site from February 1, 2020. Located at 1601 Livingston Avenue, the space is custom-built for modern fulfillment technology and will serve as Capacity's new headquarters. "Capacity's growth continues to outpace our warehouse footprint. Our preference has always been to keep our roots in North Brunswick, offering a centralized location for our employees with a surplus of local labor. We are strategically positioned to service the North East corridor and expand our California operations," said Capacity's Chief Financial Officer Arlen Fish. "Partnering with Achim Importing Co. provides Capacity with its new headquarters recognizing our accomplishments, celebrating client growth and promoting expansion into new opportunities."